Through specialised training opportunities and workshops, we built researcher capacities in specific areas. These included: gender, Research-into-Use, Vulnerability and Risk Assessments, Transformative Scenario Plannning, experiential learning, climate science, and land use and land cover change. In June 2015, researchers from ASSAR’s four regional research teams convened in Norwich to attend a course on gender and exchange lessons on how women and men are differentially impacted by climate change and variability. Read more here. Through training events led by our project partner, Oxfam GB, team members were introduced to Research-into-Use methodologies and approaches that could help them engage with stakeholders in more meaningful and participatory ways. Read more here. 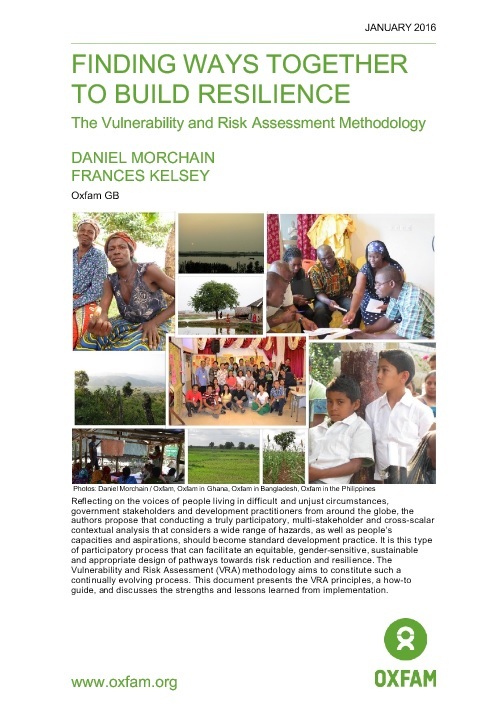 Oxfam's Vulnerability and Risk Assessment tool develops a holistic, landscape-wide understanding of vulnerability and links up actors across various levels of governance to jointly identify and analyse root causes of vulnerabilities for distinct social groups. This helps to better design programmes and risk-reduction initiatives, ensuring that they are equitable, gender-sensitive, and effective. Read more here. 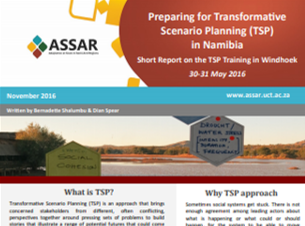 ASSAR's regional teams were trained to use Transformative Scenario Planning (TSP) - an approach designed by Reos Partners that helps stakeholders from diverse perspectives to discuss a complex issue by collectively developing a range of relevant and plausible future scenarios and their possible outcomes. At TSP events people discuss pressing sets of problems to build stories that illustrate a range of potential futures that could come from taking different paths. By doing this, the people involved learn more about their present situation, and what dynamics are serving to help or hinder progress towards a more equitable, and climate-resilient future. Read more here. Through training workshops with the Red Cross Red Crescent Climate Center, ASSAR team members were introduced to a number of experiential learning activities which can be used to improve the understanding of climate change and how it impacts the various communities they were working with. ASSAR-specific training materials were developed to help ASSAR team members to confidently run experiential learning activities. Read more here. In November 2015 and July 2017 (videos below) ASSAR sponsored a group of project affiliates to travel to the University of Cape Town to attend CSAG's Winter School to learn about the use of climate information for adaptation and policy development. 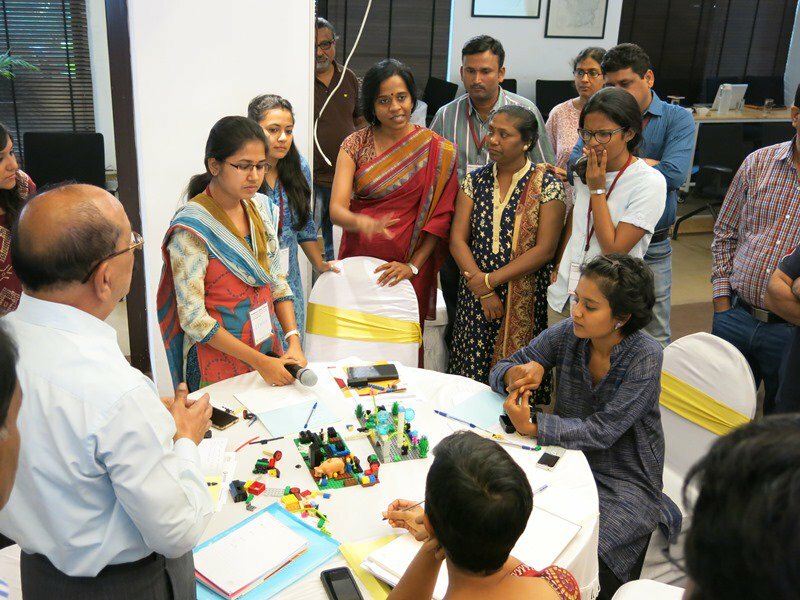 Starting with a 10-day workshop in Bangalore, India, in March 2017, approximately 15 ASSAR researchers were brought together under the mentorship of colleagues from the Ashoka Trust for Research in Ecology and Environment (ATREE), and through funding provided by START. The training focused on the tools and techniques used to interpret changes in land use and land cover, climate, and the link between these two in determining the availability (and productivity) of vegetation and ecosystem services. Follow-up meetings were held in Ghana in 2017, and in South Africa in 2018.